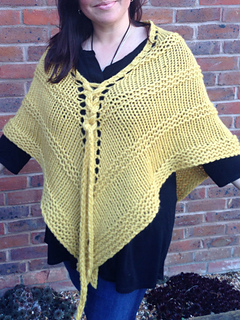 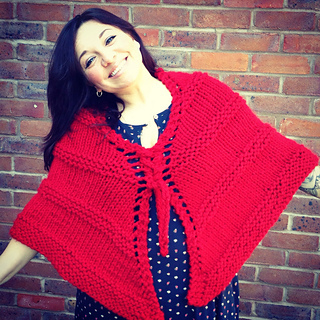 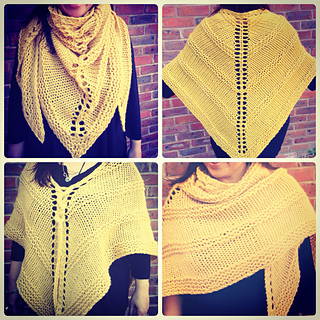 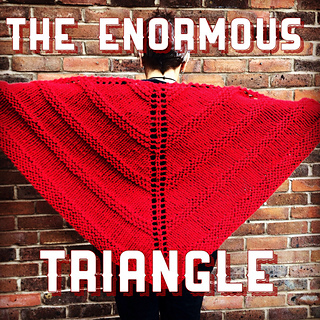 Super-sized and super-snuggly, this strikingly simple project is a great introduction to triangular shawl knitting. 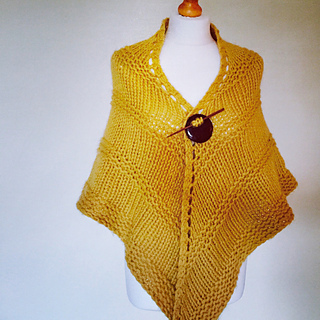 I love versatile garments, so with the addition of a strategically placed icord, it is quickly and easily transformed into a poncho… it’s a “ponshawl”. 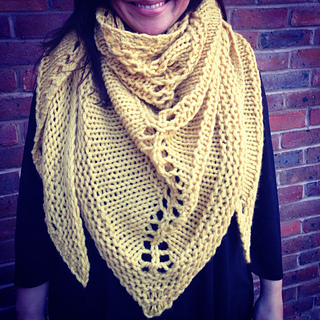 Made on large 12mm needles (not listed on the Ravelry options) and using only basic stitches and increases, this is a great weekend project for a novice, or a very quick project for a more experienced knitter. 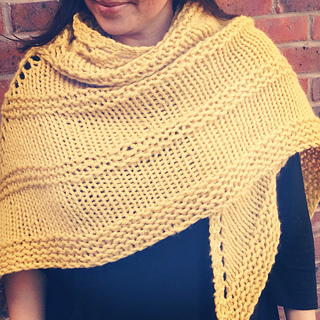 Two different super-chunky yarns are suggested to suit different requirements and budgets, one is 100% acrylic and the other 100% wool - the pattern is designed to use almost all of the yarn, whichever you choose. 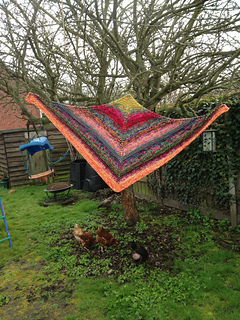 The acrylic version is enormous straight off the needles with a dense heavy fabric, while the wool version is blocked to size leaving a more flexible breathable garment.The instructions are the same for both, with only one slight variation in the border to account for the different meterage.